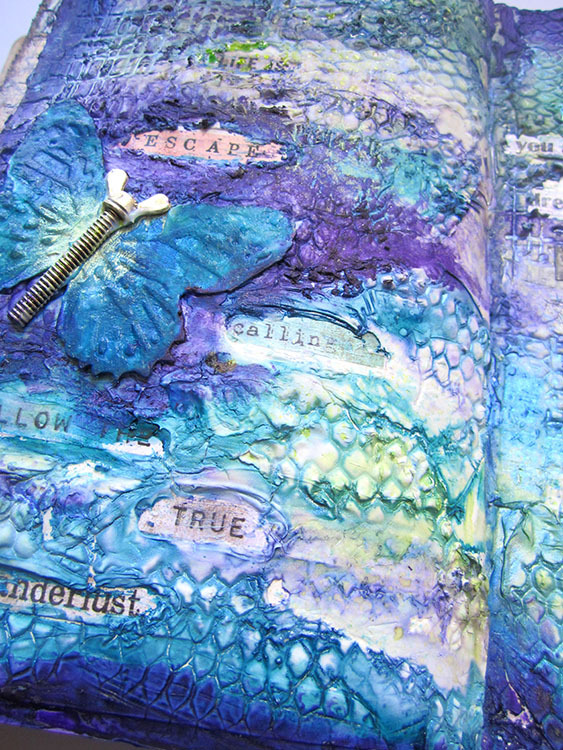 Here is a new art journaling page I created with a vaseline resist technique using modelling paste. This is the second journal page I created with the modelling paste as the first one didn’t turn out the way I had wanted to. 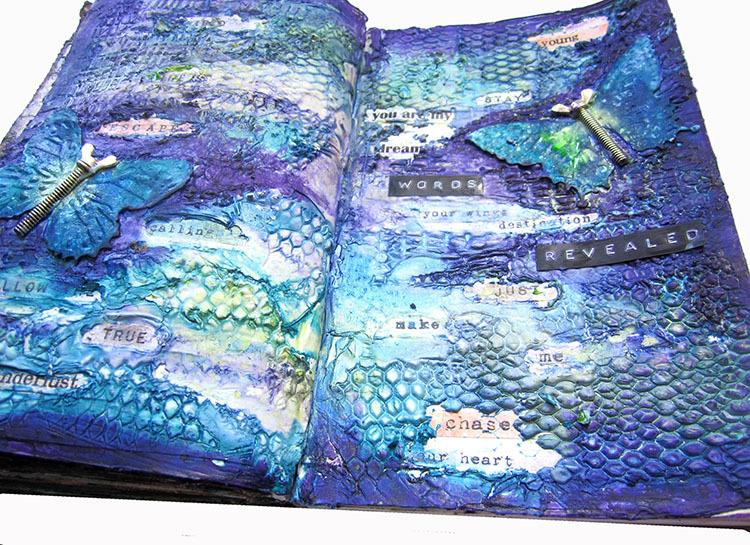 Here is the link to the original Art Journaling Page. Its called secret words as all the words are hidden. 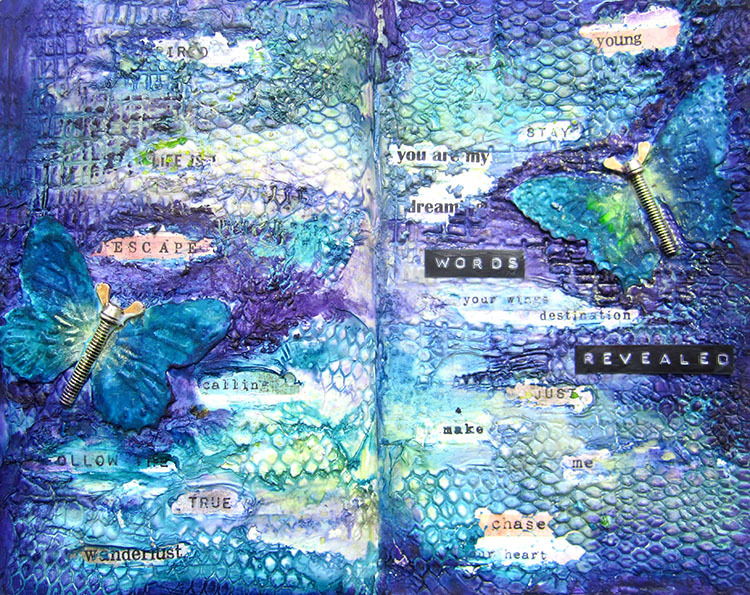 In this page below, words are revealed intuitively with the resist technique. I have a video below explaining this technique. 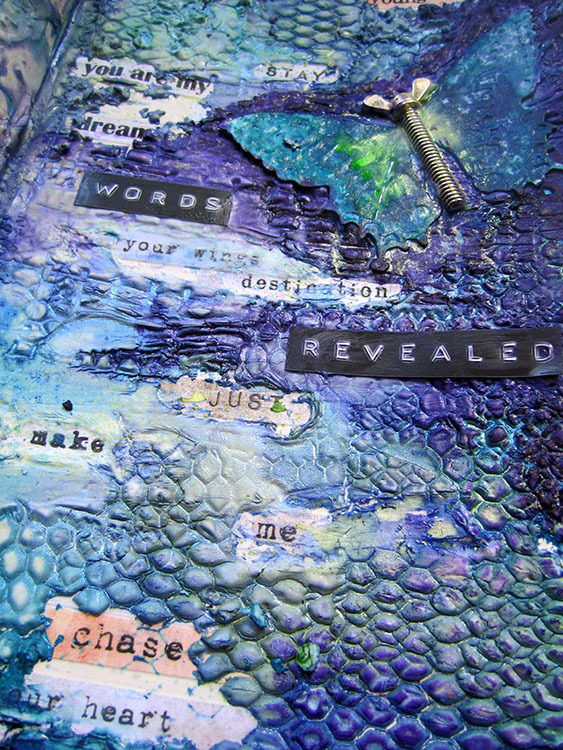 I just love the texture the stamps create when I pressed them into the modelling paste.